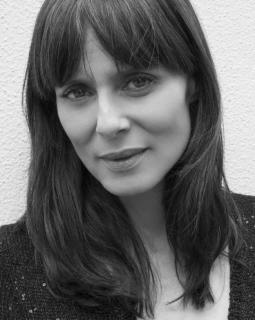 Aitana Sánchez-Gijón (born 5 November 1968 in Rome, Italy) is a Spanish film actress. She was born Aitana Sánchez-Gijón de Angelis in Rome, to father Ángel Sánchez-Gijón Martínez, a history professor, and Italian mother, Fiorella de Angelis, a mathematics professor. She grew up in Spain. Best known for playing dramatic roles in Spain, Sánchez-Gijón first became known internationally for her portrayal of Victoria Aragon, a pregnant and abandoned Mexican-American winegrower's daughter who is helped by travelling salesman Paul Sutton (Keanu Reeves) in A Walk in the Clouds (1995). 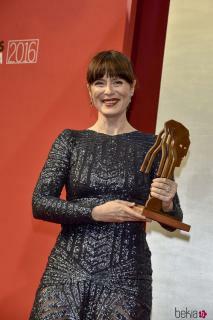 She has since built a reputation as an international star in films such as Manuel Gomez Pereira's Boca a Boca (1996), Bigas Luna's The Chambermaid on the Titanic (1997), Jaime Chávarri's Sus Ojos Se Cerraron (1998), Gabriele Salvatores' adaptation of the Niccolò Ammaniti novel I'm Not Scared (2003) and Brad Anderson's The Machinist (2004). There are 9 videos of Aitana Sánchez-Gijón.